Product #60692 | SKU TH-HE-S | 0.0 (no ratings yet) Thanks for your rating! The Tilta Top Handle Extension is the best support module for comfortably carrying your camera. 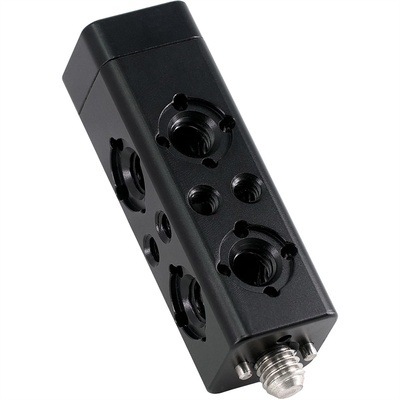 Built in circuitry allows the top handle to interface with Tilta cage top plates and battery plates; power can even be distributed to the Top Handle Power module – consisting of 3-pin and 2-pin LEMO 2 AMP ports. Use this Top Handle Extension to further enhance your operating needs. These Top Handle Extension pieces elongate your existing top handle to create a natural operating handle at the rear of the camera. Simply grip the new extensions to pan and tilt the camera with greater ease. Use this top handle extension straight piece to increase the surface area of the existing top handle. Corner Top Handle Extension Sold Separately.